Set in west Fermanagh, 7 miles from Enniskillen, Tully Mill is nestled at the foot of Benaughlin and Cuilcagh mountains in the Marble Arch Caves Global Geopark and neighbours the National Trust Florence Court estate. Other local attractions include Belleek Pottery, Castle Coole Estate, Enniskillen Castle and Cavan Burren Park, to name just a few. Tully Mill complex is a converted 18 th Century water powered corn mill that was once part of the Florence Court Estate. The complex comprises of 5 Self Catering Cottages, Tully Mill Restaurant and the Largeness Centre. 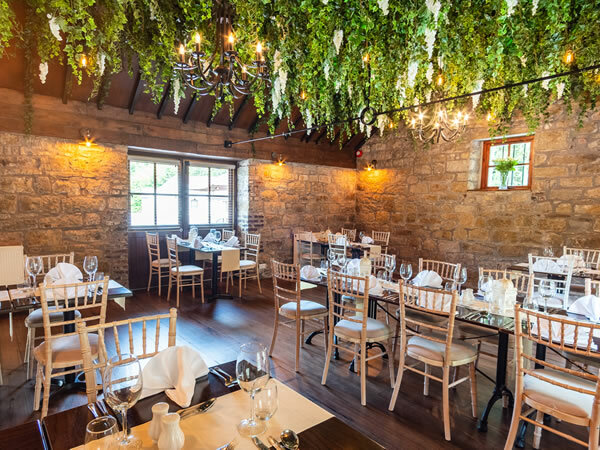 Tully Mill restaurant offers a relaxed and intimate dining experience with quality food. The menu is traditional with modern twists, local and seasonal produce are used where possible. For From a romantic dinner for 2, to family gatherings or for a private functions, the restaurant can cater for all. Tully Mill is open Friday and Saturdays from 5-10pm, and for Sunday lunch between 12-5pm. Our Sunday lunch consists of two sittings, 12.30 &amp; 1pm and 2.30 &amp; 3pm. However, we do cater for private functions both during the week and daytime at weekends. Bookings are by reservation only and can be made by telephoning us on 028 6634 9879 or by emailing info@tullymill.com.